At the heart and soul of natural health care and missing from the practice of most modern medicine facilities is nutrition; the foundation of life, healing, cellular energy, growth and disease prevention. Proper nutrition is a basic, biological need. As living, complex, dynamic (always changing) and biological beings – real, whole, untainted foods are the only substances meant to be ingested into our delicate, complex bodies. Nature’s unadulterated foods resonate within us as they nourish us. All other substances, including most drugs, artificial ingredients and processed (dead) pseudo-foods are injurious to our bodies. What you eat can make you sick! Proper nutrition is a basic, biological need. What most people eat in our nation today cannot really be classified as pure food or nutritious. Certainly, we have been misled to believe that processed, chemically-laden, toxic and artificial substances qualify as food. Advertising has turned our collective, cultural perception of food upside-down. The media serves its advertisers; not us, its readers, viewers and listeners. This might be good for business; but, not for our health. Certainly, as we look around, we notice that our friends and relatives (if not ourselves) are sick, overweight, on medication, chronically fatigued and suffering from a variety of health problems. Yet, being a healthcare consumer is harder than ever. One day we read an article that explains how effective Vitamin A is for preventing cancer; the very next day, you hear that taking Vitamin A is toxic and can even cause cancer! Totally confused, we often wonder…who to believe? And that, often, is how we start our collection. We all have them! You know, that variety of vitamin pill bottles in our kitchen cupboards – stuff that we’ve bought over the years but, probably have stopped taking. People have a hard time throwing them away because they spent money on them. There is one thing we know for certain, frustration occurs because we feel lousy, have gained weight, and have a lack of knowledge about what we should be doing. In direct contradiction to our biological, cellular needs, we have become a nation fed on foul nutrition with chemicals being insidiously substituted for nutritious foods. Our chemically laden, nutrient-deficient, daily diet has caused the escalation of disease, suffering and death – even in the face of our so-called “advanced” medical system. To overcome our health problems, we must, first, embrace a lifestyle change, not just a treatment method change. For healing and prevention of disease, there is no substitute for the innate wisdom, power and potential of nature. It’s not wise to try to fool Mother Nature; our bodies are listening. The wiser people of this country have reached back into the past and are reviving the philosophy of natural healthcare. What they are learning is that natural health care works without side-effects and it carries the seeds for a happier, healthier, more fulfilling life. Eating properly heals; yet, causes no side effects. This is never true about drugs, which the body considers as foreign invaders. 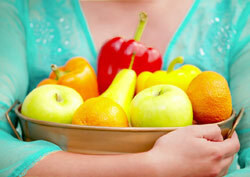 Most of us do not eat enough raw fruits and vegetables. Also, the depleted soils that our mass-produced foods are grown in, coupled with the processing and packaging of these foods, has created a nutritionally deficient food product to meet our body’s needs. Bottom line…we need appropriate diet, exercise and supplements to optimize our nutritional status and our overall health. If we are not getting them in our diet, we need to get them from a product that offers us optimum whole food, nutrient dense nutritional support for the money we have spent. Today, vitamins are big business. Most of those products are almost exclusively synthetic, made from chemicals in a laboratory. We recommend whole food concentrates! We can offer you a great deal of information which explains why our Standard Process whole food concentrate supplements are superior to the majority of nutritional products. These are naturally grown products, dehydrated and processed with low temperatures (less than 112 degrees) in order to maintain all of the reactive enzymes within the whole foods which our body can utilize in a natural way. They are nutrient dense nutritional support! Your interest in improving your body’s health reflects your inner desire for change. A commitment for a lifestyle change has to be made. If you are frustrated about feeling lousy, tired, sleepy, overweight… it’s time to do something different! Change is not always easy; but, any change you’re considering must include your diet. Recently, you may have seen advertising for Bob Greene’s Best Life Diet and his Total Body Makeover Plan or the appearances by Dr. Mehmet Oz on the Oprah Winfrey shows. Possibly, you have read or heard of Dr. Mehmet Oz’s books, The Truth About Food and Eat To Live. The principles of our nutrition and weight loss programs reflect the same facts and groundbreaking medical research truths about food and nutrition that they have been publicizing on T.V. Our program relies on making dietary changes that allow your body to rebound towards real health and physical prosperity. Do I need nutrition counseling? Our fast-paced culture of life on-the-go has resulted in a dietary shift to fast-food restaurants and processed convenience foods. While these options save time, they do not provide enough of the essential nutrients our body needs to thrive. This can cause a slowing down of body functions, sap energy and vitality and may lead to significant health issues. If you have been feeling tired and run-down and there seems to be no explanation, nutritional assessment and counseling may provide some of the answers. Plus, proper nutrition is the starting point for improving overall health and may help in the prevention of future health concerns. If you are currently experiencing difficulties such as: gastric reflux, hypertension, Type II diabetes, fibromyalgia (unexplained pain in the muscles, ligaments and tendons), attention deficit disorder, erectile dysfunction or other functional hormone imbalances; nutritional assessment counseling may assist in managing these challenges by improving your physiology with a more natural approach; diet, whole food supplementation and lifestyle modification. That’s completely up to you. Diet, nutrition and/or weight management recommendations all begin with a consultation. It could be a brief (15 min.) consultation where you visit with the doctor and ask whatever questions you may have. A markedly more thorough evaluation process called the Comprehensive Evaluation necessitates you completing our consultation packet. This includes completing an extremely thorough consultation form, a 7-day food diary, a symptom survey and many other necessary forms. Once this has been completed, a consultation with the doctor takes place. Between your first consultation and your follow-up visit a complete review of the data will be completed. A follow-up visit will be scheduled and, during that visit, recommendations will be made. It is at this time when various tests may be requested based upon each individual’s case. This will depend on your individual nutritional needs. All supplements used are derived from organically grown whole food sources or are high-quality herbs**. Our program matches the proper supplements to the individual’s needs as established by their profile. The goal is to bring the body back into balance by providing the WHOLE FOOD nutrients that your metabolism was designed to use but may be lacking in your current diet. By changing dietary habits and making lifestyle modifications, the need for some supplements should decrease over time. Throughout your supplementation program your progress will be monitored periodically to determine the success of the program(s). Appropriate modifications will be made as your progress indicates. Absolutely! Our food intake is the fuel which runs our body, stimulates our metabolism and helps in the repair and healing process of our bodies. Everyone can benefit from proper nutrition and appropriate supplementation. This varies from person to person. Most individuals should notice a significant difference in health complaints with a reduction of symptoms, thereby, contributing to improved well-being during the first phase (3 months) of care. Just contact our office, (330) 545-8560 to schedule an appointment. We will get the necessary information from you, so we can provide you with our initial nutritional evaluation package. If you prefer, we can arrange to mail the initial evaluation package to you. The program that you are considering to embark upon is a bold and direct approach to significantly overhauling the functioning of your body. In 3 month segments over a 9-12 month time-frame, you have the ability to have cleansed, repaired and fortified almost every gland and organ in your body. The result of this is; your body is able to better prevent future health issues including the likely reduction of experiencing some of the biggest disease problems such as: cancer, heart disease and Type II diabetes. Like many others, you will probably experience a degree of improvement in your physical status and strength, as well as improvement of your emotional/spiritual state of mind. Each of the visits will seek to identify your primary imbalances (the ones that are causing other domino effect imbalances downstream) and then a strategy of nutrient supplementation will be recommended to target and improve the function of a specific system and/or tissue. While nutritional measures are gentle; when they are applied constantly, they can yield almost miraculous results. Practicing nutritional medicine coupled with its results has taught us what is possible through nutritional therapy; and daily, it continues to teach us more. The following is a typical sequence approach, so that you may have some concept of the plan, although each person is unique and progresses at their own pace. 1) Initial modification of diet creating independence from sugar forming hydroglycemic foods thus, reducing insulin and cortisol imbalance, alkaline promotion, general mineral replenishment and begin to unburden the liver and digestion system of its toxic load. 2) Initial unburdening of the liver and digestive system of its toxic load through Liver Purification, identification of food allergies and removal of the primary inflammation engines, parasite infestation and infection removal through up-regulation of the immune system, correction of gut floor imbalance and dysbiosis. Total number of visits for initial phase I program: typically 12. For comparative evaluation: heart rate variability test to be repeated at 11th visit for 12th visit review. On a case by case basis: we may recommend additional tests to include: blood work, hair analysis and saliva testing. These tests are used to uncover any deficiencies or imbalances not demonstrated with our usual and regular tests. 3) Stabilize any of the aforementioned nutritional needs, use of liver purification program if not already having been provided. 4) Eventual reassessment of any testing previously having been provided with a six month interval of test dates, begin addressing circulatory issues as a long-term preventative measure, begin specific assessment of any chronic conditions and begin basis nutritional support leading to maintenance care. Maintenance care usually starts without complication when alkaline promotion, general mineral replenishment, dietary changes and an unburdened digestive system and liver have been accomplished. Typically, maintenance care starts around the 9-12 month point based on individual assessment, patient needs and commitment to lifestyle modifications. This is followed by graduation into a pattern of less frequent office visits (once every 3-6 months) and basic nutritional support counseling for sustaining your lifestyle. Occasional electro-system repair and fortification lasting 1-2 months is utilized as necessary. While there are many variables in the course of nutritional therapy; generally, it follows these above mentioned guidelines. Our intention is for total correction of your systematic profile with potential for medication reduction (under your medical doctor’s direction) by the time we finish Phase III (months 6-12). It is so exciting to see what your body is capable of regarding its innate healing potential and, indeed, that healing and renewal reminds us how remarkably the human body is designed. For most patients, this lifestyle and mindset modification allows them more alternatives when facing greater health challenges in the future. It is our greatest joy and fulfillment to introduce this approach to you! We will not accept assignment of insurance benefits for nutrition based services. All nutrition services are cash, paid at the time of service. We will provide you with appropriate codes on any testing procedures ordered so you may submit them to your insurance carrier if you so choose. Hair analysis testing is paid to our facility. All other testing: blood, saliva and/or stool, is paid directly to the lab by the patient. The Systems Survey is a questionnaire of symptoms that correlate with the many organs and glands of your body. While one single symptom does not provide us with much information, a pattern of symptoms can uncover many underlying health imbalances. This is the purpose of the Systems Survey Form. With this information we can build an individualized program designed to support your primary concerns and health goals.